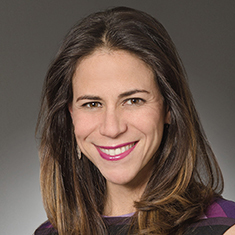 Allison Yacker is co-chair of the New York Financial Services group and a member of the firm's Board of Directors. She represents a wide variety of market participants in the financial services industry and focuses her practice on the asset management industry. Her clients include institutional and emerging asset managers and commodity pool operators. She provides counsel with respect to hedge funds, commodity pools and managed account platforms that participate in a wide variety of asset classes, as well as private equity funds and private equity fund sponsors across a broad spectrum of strategies. She also advises clients on security token offerings and other cryptocurrency- and ICO-related matters. Recognized by Chambers USA and The Legal 500, Allison works with institutional investors, including sovereign wealth funds, foundations, insurance companies, public and private pension plans, family offices and endowments making investments in hedge funds, private equity funds and managed accounts. Her experience representing asset managers and a wide panoply of investors permits her to provide clients with comprehensive advice in an efficient, responsive and commercially practical manner. Furthermore, by representing both managers and investors, Allison is current on market terms and can analyze issues from all perspectives. Allison is often sought after for her significant acumen and experience in providing structuring and ongoing advice to asset managers and private equity sponsors that employ a broad range of investment strategies, including US and European direct lending, distressed debt and other credit strategies, quantitative trading, long-short trading and statistical arbitrage. In addition, she regularly advises seed investors and managers on obtaining seed capital and in all aspects of seeding relationships. She also provides guidance with respect to executive employment matters and intellectual property-related matters. Allison advises managers on a broad range of compliance issues, including federal and state registration issues, and counsels clients on matters related to their compliance policies and procedures and codes of ethics. Her knowledge in these areas allows her to respond with innovative solutions to a variety of complex legal challenges. Allison has extensive experience representing managers entering into various forms of placement agent agreements and third-party marketing agreements, and has worked with institutional third-party placement agents and a significant number of the dealer platforms. Allison also has significant experience negotiating all manner of trading documentation including prime brokerage agreements, ISDAs, futures and options agreements, and global netting and cross-product netting arrangements. In doing so she provides advice that is customized to the strategies of her clients and their institutional preferences, and she provides regulatory and structuring advice with an emphasis on counterparty risk mitigation. Allison is vastly experienced in advising dealers and end-user clients with respect to structured products and financing arrangements, including derivatives, cross-border financing, asset-based lending, alternative investment strategies, such as premium finance and life settlement, hedge fund lending, subscription finance and other financial products. She represents banks, broker-dealers and onshore and offshore hedge funds, in structuring, documenting and negotiating various forms of financing and derivatives products, including repurchase agreements, securities lending agreements, equity and fund-linked swaps and options. She also represents clients in connection with collateralized fund obligations and life settlement securitizations involving life settlements and premium finance. From 2003 to 2004, Allison was seconded to a large international financial institution, where she drafted and negotiated various ISDA- and OTC-related documents with a variety of interdealer and end user counterparties. Allison is an active member of the firm's Women's Leadership Forum. Shown below is a selection of Allison’s engagements.